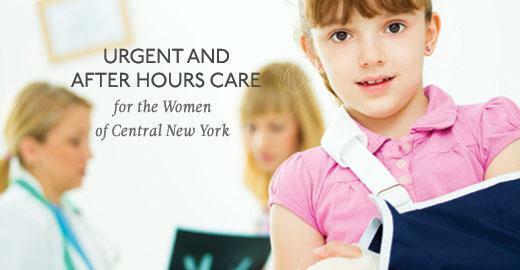 Women who need convenient, specialized urgent care have options at Upstate University Hospital. Upstate University Hospital understands how busy everyone is and that health issues requiring a visit to your primary care provider do not always happen during office hours. There are four specialized services available at Upstate to make getting excellent care for you and your family easier to access. Last Modified: May 4, 2016. Contact LisaMarie Vigliotti-Bane with questions about the content of this page.